Marxist Institute Of Technology: The Explicit Socialism Of An Elite Tech School. 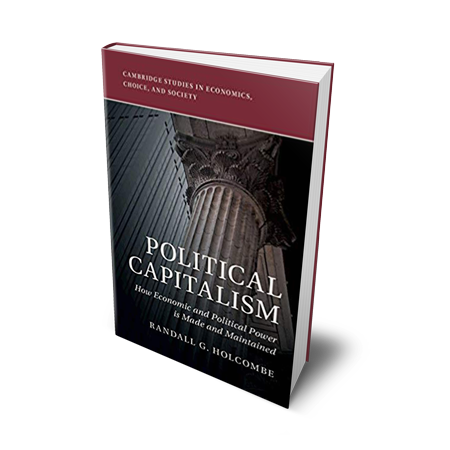 There is a resurgence of the acceptability of socialism in American economic discourse. Where is this coming from? Surely the history of Socialism has demonstrated that it results in disastrous economic outcomes, and it has been associated with massive death and destruction. One source of fashionable thinking is our elite universities and their cloud of intellectuals. F. A. Hayek described intellectuals as dealers in second hand ideas, and there is no idea more second hand than Marxist Socialism. Yet, in a recent edition of MIT Technology Review, there were three overt recommendations for a contemporary lurch back to this discredited nineteenth century theory. How To Create A Kind Of Capitalism Marx Would Warm To. The first was the most overt of the three, with the headline “A digital capitalism Marx might enjoy“. The theme, as is appropriate for a Marxist proposition, is the supposed conflict between capital and labor. The author betrays his prejudices by describing capital before the digital age as “looms and furnaces and other machines you could see and smell and fall into”. He also betrays antediluvian thinking by asserting that capitalists put “maximizing of these factories’ output above all else”. Deirdre McCloskey debunked the “Max U” error in The Bourgeois Virtues, where she sheds light on the role of the seven virtues (Hope, Faith, Love, Justice, Courage, Temperance and Prudence) in entrepreneurial economic behavior that underpins what she calls “the great betterment” – the 3000% improvement in living standards in the last 200 years. Now, according to MIT’s Marxist writer, things are getting worse, not better. Labor is being weakened; technology squeezes workers’ bargaining powers because the “quasi-labor” of A.I. replaces true labor. There is more scope to alienate and outsource jobs. Is this fair? Of course not, states our Marxist. After all, A.I. “learns from” labor in order to replace it, but doesn’t compensate labor in return. The answer: pay individuals for the data they generate, even if they don’t work. Data generators of the world must unite and form a new union. Even better, take a collectivist approach. Make data a public resource. Any A.I. that uses the public data must pay the government for access to it, and the government can pay the labor that generated the data. Heck, let’s go all the way. Let’s have the government own the means of production, as Marx would have wanted. The author suggests that the government take ownership of the companies that gather data and pay a dividend to the public as “just rewards for their contribution”. From each according to his ability, to each according to his needs! This is, as the author puts it, a form of capitalism that Marx could warm to. If Government Can’t Own The Means Of Production, It Can Aggressively Regulate. Later in the same edition of the magazine, a headline in stark black capital letters repeats 11 times (in case we didn’t get it the first time): REIN IN THE DATA BARONS. The theme is similar, although more oriented towards government regulation and control of free market exchanges than quite so overtly Marxist. The author asserts that Facebook, Amazon and Google have too much “control over what we see, read and buy”. Why are our MIT superiors so pessimistic about human reason, about our mental processing power, about choice, and self-editing and self-reliance? What about basic economic principles like consumer sovereignty. If we want to, we can consult with Bob Murphy the leading expert on consumer sovereignty. We can read about it on Wikipedia or at mises.org. But no, MIT has declared that Facebook, Amazon and Google – referred to as data barons to bring up the spooky specter of the old oil barons, another staple of the intellectuals’ monopolist fiction – have all the control, and the rest of us are simply deluded. The anti-trust laws are too tolerant. This is a problem attributed to Chicago School economists and nothing to do with Massachusetts brainiacs, because the economists don’t understand network effects whereas MIT does. So there. The solution to the monopoly control problem is the 20th century one of breaking up the dominant companies. The article claims this idea to be radical. Wow! These radicals require some kind of a software update to catch up with the world. If we can’t break them up, then regulate them more, and emulate the EU with its draconian privacy laws. Block acquisitions! Act progressively! If any company has more than 10% share of data (share of what is undefined – all the data in the world?) they must share it freely with everyone else. It seems like, while the scientific part of the MIT brain has been inventing new ways to analyze data, its social and political part has reverted backwards to the French Revolution. The third article returns unabashedly to Marxism. Let’s Make Private Data Into A Public Good. This is simply government ownership of the means of production re-expressed for the digital age. The author’s argument is the Obama riff of ‘You didn’t build that.” Giant companies like Google and Amazon are making huge profits from technologies originally created with taxpayer money. They are taking advantage of the habits and private information of the taxpayers who funded the technologies in the first place. And then, the most tired cliche of the digital era: with Google, we are the product. Like all Marxists, the writer has a markedly dystopian view of the human condition, revealed in the accusation that, under Google’s influence, we are “transforming our friendships into sellable propositions”. Really? Are people so shallow and trivial? In MIT’s eyes, yes they are. There is one further leap of Marxist faith in this article: that platforms are not even real businesses, they are just a way for companies that operate them to avoid responsibility. The Uber platform exists so that the company can avoid responsibility for crass behavior on the part of its drivers. The AirBnB platform exists so that the company can avoid responsibility for its users defacing the property of its other users. MIT makes no concession to creativity, to liberating digital disruption or to consumer choice. These companies are just self-perpetuating monopolists. They must be heavily regulated. The public must be protected against their abuses. Technology and data were created by all of us and therefore should belong to all of us. The underlying infrastructure was created collectively. Data should be owned in a public repository and sold to the tech companies. Platforms are collective creations and should be driven by public purpose. We must all submit our individual instincts to this public purpose. How Marxist can you get? What are we to make of all this? MIT Technology Review is just a magazine. 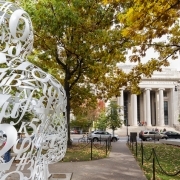 It uses the MIT brand name and the school’s aura of credibility and authority. Are MIT’s professors teaching Marxism to our kids? It is reasonable to assume that they are. In The Intellectuals And Socialism, F.A. Hayek conceded that our society rests on the intellectuals’ services. They tend to prefer and promote socialism because they have no experience of the workings of the economic system, they have a set of general preconceptions into which they fit all ideas, and one of those preconceptions is material equality, which Hayek describes as an abstract concept of doubtful meaning and no practical application in particular instances. He exhorts the rest of us to make the building of a free society once more an intellectual adventure, and a deed of courage. Freedom and the free enterprise economy need to find their own intellectuals who can take the battlefield through more persuasive presentation of their stronger ideas. Americans can’t seem to agree on much these days. But even amid all the apparent differences that keep us ideologically separated, everyone hates parking tickets. In many ways, these infractions are the great unifier. Parking tickets are a common annoyance that almost anyone can relate to. But luckily, advances in technology are making legal defense resources more accessible than ever. Seattle resident Dan Lear was understandably frustrated after returning to his vehicle after running an errand, only to see a ticket placed under his windshield wiper. On any other day, Lear may have chalked this up to bad luck, accepted the ticket, and moved on with his day. However, Lear, who is himself an attorney, felt misled by the signage on the street where he parked, which inspired him to fight the grounds on which the ticket was given. After doing a bit of research, Lear discovered that there were actually companies dedicated to fighting unjust parking tickets. But by utilizing these services, it doesn’t mean that you have paid to retain a group of attorneys. Instead, “lawyer bots” fight your parking tickets for you. 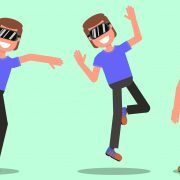 DoNotPay, WinIt, and TurboAppeal are just a few examples of new businesses that are encouraging individuals to challenge the state when they feel they have been on the receiving end of injustice. By helping people fight back against unjust parking tickets and property tax discrepancies online, more people have now have the ability to challenge government overreach, rather than simply lie down and take it. This is huge when it comes to balancing the scales of power. While each respective company has their own unique platform, DoNotPay, which Lear used, asks users a series of simple question to gauge rather or not there is grounds for a legal fight. Asking whether a parking sign was easy to read or even if perhaps some of the details on the ticket are incorrect, the site then compiles all the information you provided into a letter. Serving as a formal legal defense that can be mailed or uploaded online, users now have a legitimate case against the state. As if these services weren’t enough to entice us all to fight the next parking ticket we may receive, the services available through DoNotPay are free of charge, making legal defense readily available to anyone with a wifi connection. Other services, however, do charge a small fee. 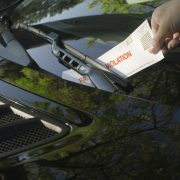 Already, DoNotPay has helped dismiss over 450,000 parking tickets in the United States and the United Kingdom alone. This accounts for about $13 million in fines that individuals did not have to pay to local governments. In fact, when it comes to the success rate of DoNotPay, their users win their cases more than 50 percent of the time. For those who try and fight their tickets without the use of these types of services, the success rate dropped to around 21 percent in New York City and 35 percent in California. Browder’s model is so appealing to so many people, that it was able to raise $1.1 million of funding. Currently, the site exists primarily to help users fight parking tickets, but the long-term goal is to expand services into other legal spheres. For example, Browder would like to help users fight property taxes and even file for divorce without having to retain costly attorneys. What is, perhaps, most fascinating about this project is the decentralization of the legal sphere. In addition to this type of tech, blockchain technology is also getting rid of the need for attorneys. By using algorithms to enforce contracts, blockchain technology is making lawyers in this realm almost entirely irrelevant. But, it is also giving individuals more access to legal tools they may not have been able to afford on the traditional market. All in all, this technology is allowing individuals to live a more free, decentralized life, which is truly the key to individualism. Yuval Noah Harari is a currently fashionable author and his book Home Deus: A Brief History Of Tomorrow has generated some buzz among salon intellectuals. His subtitle suggest some hubris; he can see the future. Yet this is truly a trivial book claiming a portentous message. The author skates over thin slivers of news headlines, pop technology, biology and historical factlets to arrive at a 100% erroneous conclusion. His portentous message is the end of individualism. The author lays out a proposition that authorities such as churches and kings and governments fooled us into believing that we each have individual identities and that life has individual meaning. Why did they do so? Because they could turn these I-believe-in-myself humans into useful workers in a division of labor economy. But, according to the author, biology tells us that we do not have individual identity, or free will or an individual self. We are merely bundles and sequences of electrical activity and neuronal responses which are directed by some force or other (he doesn’t tell us what) but certainly not by individual free will. There is no individual. We have been fooled into mis-diagnosing our own consciousness. And now, the institutions who fooled us are going to change their message. They don’t want us to believe we are individuals any more. Because intelligent, but not conscious, software will be preferred to make all decisions in the future – including telling each of us how to think and what to do. Therefore, it will be useless (or possibly dangerous) to have humans going around thinking they are individuals with free will. Professor Harari wants us to believe that our existence is meaningless, just a temporary flurry of electrical and biological activity in a repurposable body unit. He replaces the idea of mind and individual consciousness with the idea of an algorithm. We are all just bundles of algorithms. But, despite Professor Harari, we do exist. Existence means something, and we experience existence through consciousness and the individual self. The mistake he makes with technology is to believe it will replace human functions. But it won’t. It will augment them. The individual will feel more interconnected, will enjoy more access to knowledge, and will be able to utilize tools to process that knowledge in new and better ways. This technological augmentation of individual capacity, combined with new levels of interconnectivity between people and knowledge and machines, will certainly change the economy and society. But it will lead to a higher level of thriving for individuals rather than to the eclipse of individual experience. Individualism is not a concept thrust upon us by institutions to make us productive. Individualism is the engine of emergent order, and whatever new order emerges from the new era of interconnectivity and intelligent software, individuals will be central to it. Professor Harari, like many intellectuals, forgets that all of civilization’s advances are the product of individual human behavior, not of collective human design.